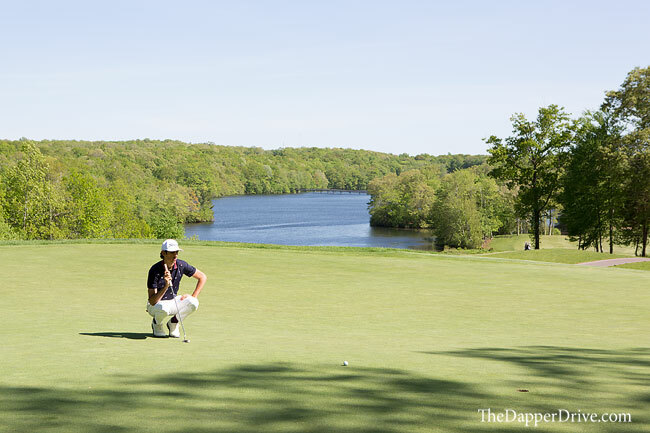 The mere mention of golf in the northeast is sure to peak the interest of even the most novice golfers. 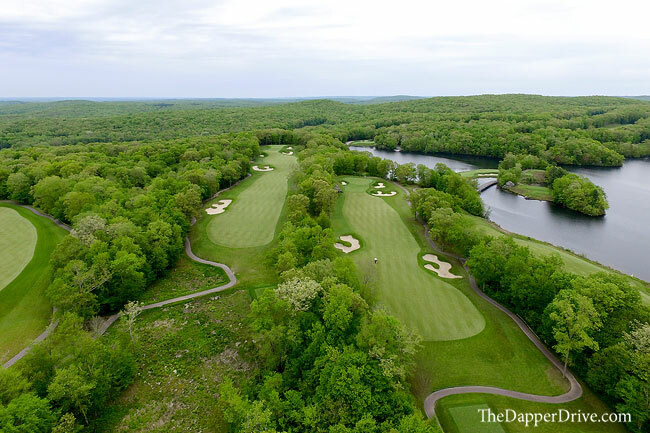 As one of the most prolific golf regions in the country, cities like Philadelphia, New York and Boston tout what seems to be an endless supply of epic golf. Many of the drool-worthy venues that initially come to mind are historic, and most are private. 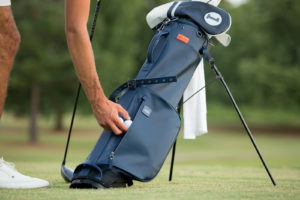 Fortunately, as you begin to explore the more accessible options outside the lengthy list of behemoths, there are an equal number top-notch courses worth a play. On a recent trip to this region, I discovered a golf course who’s beauty, interest and intrigue continue to linger in my mind. Who’s responsible for this lasting impression? 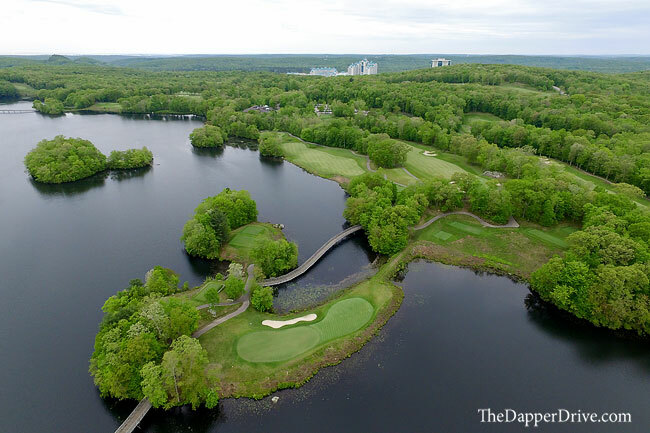 Foxwoods Resort Casino’s Lake of Isles North Course. 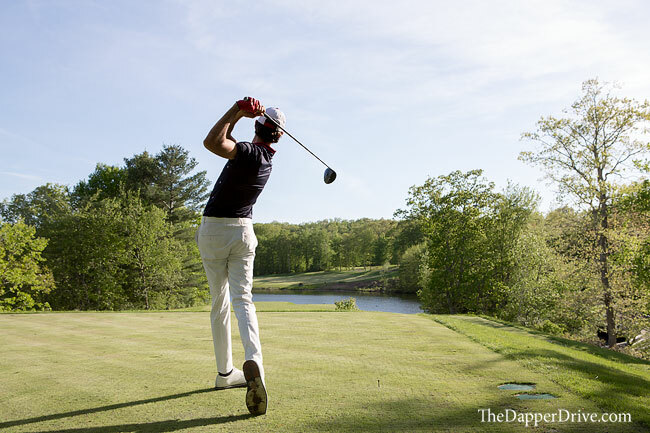 Away from the hustle-and-bustle often synonymous with the northeast, Foxwoods Resort Casino’s location in southeast Connecticut lends the perfect setting for golf. Just 90 minutes from Boston and 60 minutes from Hartford, city streets are swapped for rolling, tree-filled terrain in these less populated parts. 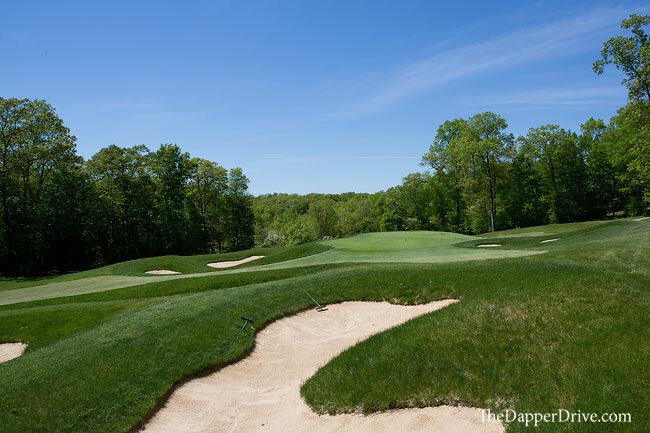 The surrounding landscape creates a relaxed environment for golf, while the expansive Foxwoods Resort Casino itself provides as much action as you can handle (more on that later). 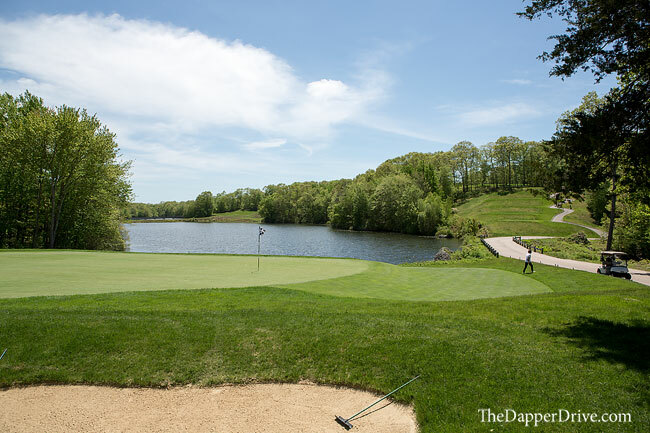 Foxwoods Resort Casino is home to two golf courses — the publicly accessible North Course as well as the neighboring South Course, which is reserved for members. Traveling in the area, we decided to spend a night and play a round on the Rees Jones designed Lake of Isles North Course. I was immediately struck by the fantastic conditions of the golf course. 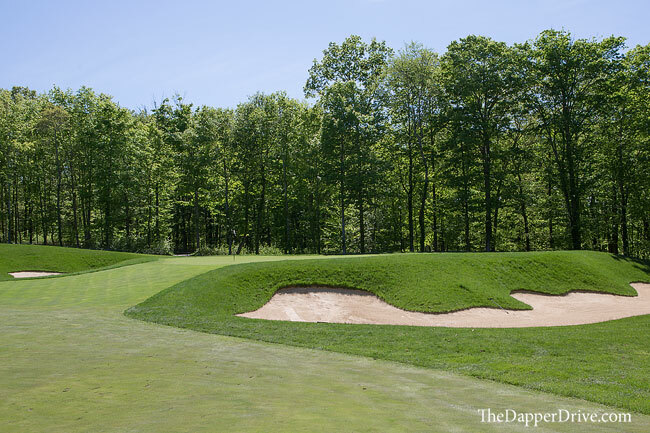 Early season rounds in the northeast often mean suspect conditions as golf courses work their way out of the cold winter months, but the mid-May conditions on the North Course far exceeded expectations. Fairways were full and firm, rough was thick and the greens rolled in mid-season form. Though I don’t place a huge weight on conditions, it never hurts when a golf course shows such great form so early in the golf season. The opening holes are quick to introduce you to the main themes of the Lake of Isles North Course. 1) Treelined fairways are the norm — Hole 1 is a straightaway par 5, flanked the entire length of the hole by tall, densely populated trees. 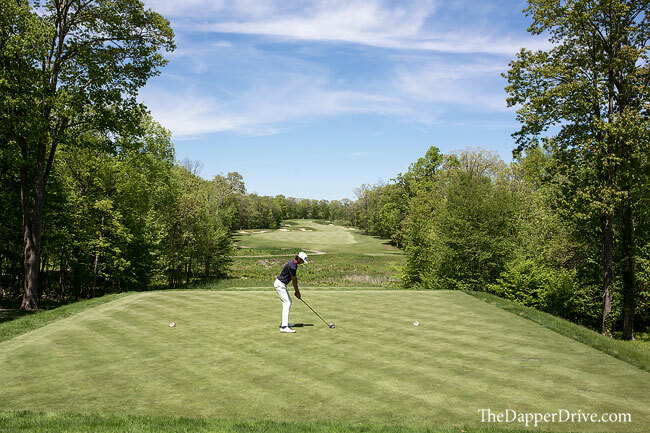 Yes, there’s a premium on the straight ball at the North Course where nearly every hole is cut through the trees, but the good news is fairways on most holes are quite generous. Wide shots are penalized no doubt, but these substantial landing areas make the course quite playable for all skill levels. 2) Elevation changes add to the fun — Leaving the first green, the cart path winds up a hill before descending down toward the 2nd tee with a birds-eye view of the green. This mid-length par 3 immediately showcases the elevation change presented throughout the North Course. This adds a little challenge to club selection, but more importantly lends some really breathtaking views of the scenic surroundings. 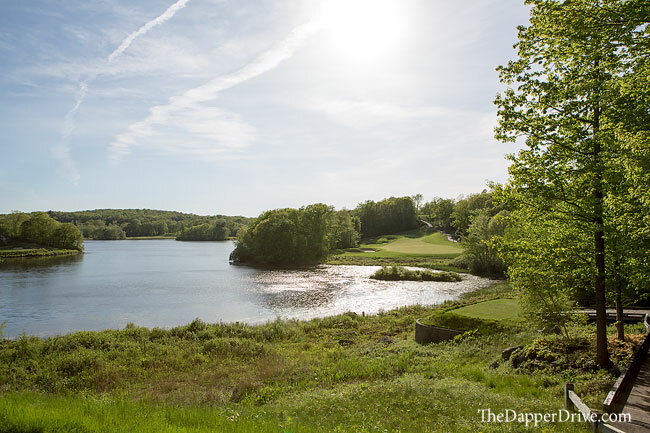 3) Lakeside Beauty — Making the descent from the 2nd tee to green, the seemingly small water hazard short of the green actually turns out to be a piece of the Lake of Isles. From the putting surface, a great glimpse of the lake is revealed. This is the only view on the frontside, with the golf course reserving it’s show-stopping lakeside holes for the back nine. Though many resort courses often fall short of meeting the lofty design standards of the avid, well-traveled golfer, the Lake of Isles North Course quickly proves it’s up to the task. 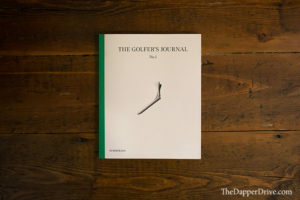 Rees Jones was savvy in his use of this beautiful property, delivering not only a course that’s breathtaking to the casual golfer, but one that’s intriguing to the experienced player. 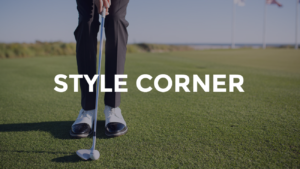 Beyond the large, heavily undulating surfaces and endless astutely placed bunkers, there are a number of holes that require decision-making skills and use of your golfing-IQ to think your way around the course. The third hole – a shorter par 4 – presents an elevated fairway that demands commitment to line before firing this blind tee shot. 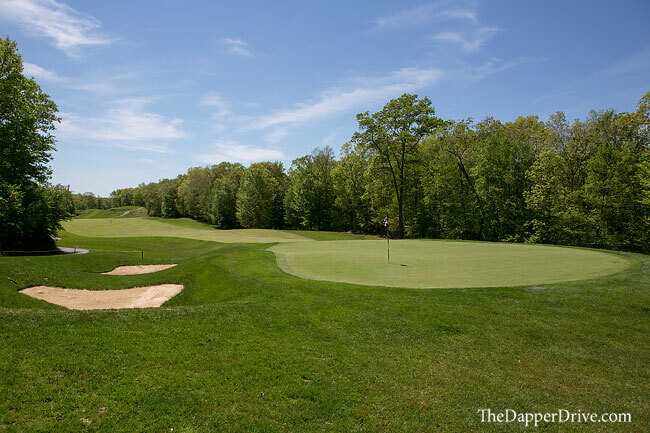 Once atop the hill, club selection is paramount into an elusive green. So many great options on this hole! And not to be overlooked, the down hill eighth. A good drive catching the downslope can propel forward leaving a mere-50 yard pitch, but to an elevated green. Upon further examination, a layup (avoiding a few cross bunkers) to the 130-yard area leaves a level lie and perhaps a better approach angle. Yet again, strategy reigns at Foxwoods. Winding through the treelined front and onto the backside, the Lake of Isles takes centerstage. After striking your uphill approach to the 10th green, the ride to the surface reveals a beautiful view. From the elevated putting green itself, few views are better on the property. The very next hole turned out to be a favorite, too. The mid-range par three is made special by the expansive views from the elevated tee box. It’s a great spot for a group picture and might be the best hole on the course. The peninsula-style green is guarded by water on every side, with a narrow surface requiring a bit of precision to avoid a scorecard disaster! After playing away from the lake, the finishing holes bring you back to this great piece of the property. The tee on the 17th is certainly my favorite spot of all, highlighted by sweeping views of the scenic landscape. It’s another photo worthy spot, and an idillic setting as the sun begins to creep toward the horizon. 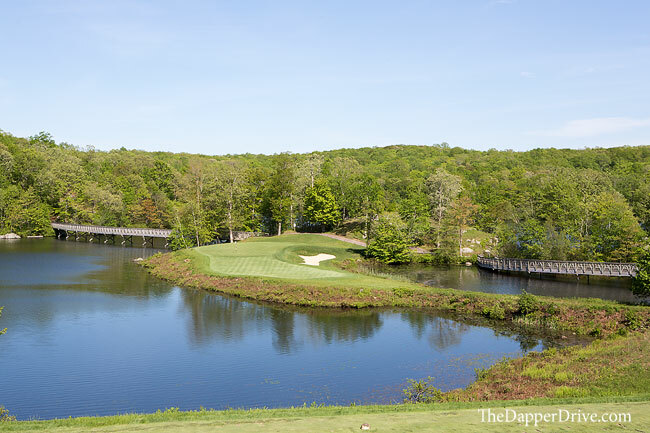 18 brings you down onto the lake, with a tee shot over water and an approach to a lakeside green. It’s one of the more challenging holes, but one of the more beautiful, too. And, it turns out to be the perfect setting for the conclusion of a memorable round at the Lake of Isles North Course. So what else does Foxwoods Resort Casino offer? Well, the better question might be what doesn’t it offer. After our round at Lake of Isles, we made our way to the resort. 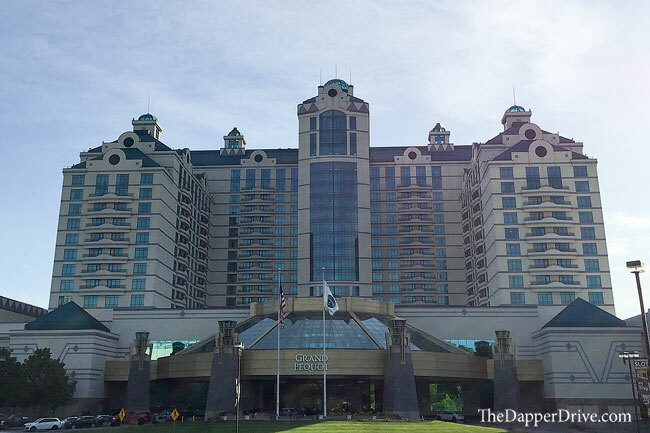 We opted to stay in the Grand Pequot Tower (a AAA four-diamond hotel), which is one of several accommodation options and sits near the center of the property. Wandering the resort, we stumbled upon multiple casinos, endless restaurant options, nightlife venues, a theater for live shows, and an on-site Tanger outlet. They even have a zip-line that runs from the top of the Fox Tower, another well-appointed hotel a stones throw from the Grand Pequot. It quickly became clear there’s a little bit of something for everyone here, making this much more than a simple golf getaway. 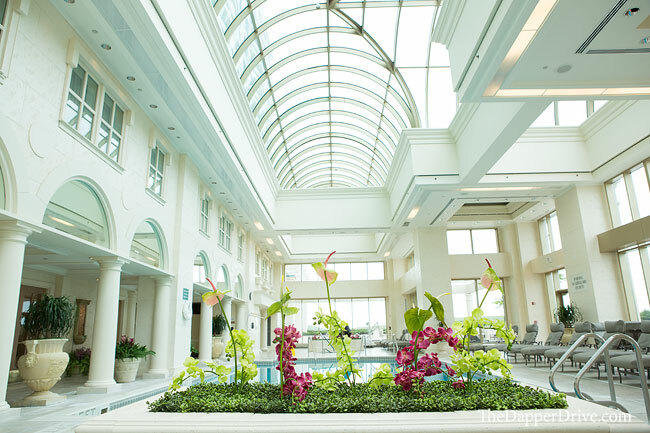 We ended our day with a little R&R in the serene setting of the Grand Pequot indoor pool area, where we relaxed in the jaccuzi and reflected on the wonder of it all. If you’re searching for a northeast getaway this summer, be sure to give Foxwoods Resort Casino a look. With some great golf and so many off-course activities, trust that all interested parties will approve. Brittany and I sure did! Looking for other great golf destinations? Dive into our Interactive Course Map for more courses we’ve visited across North America!